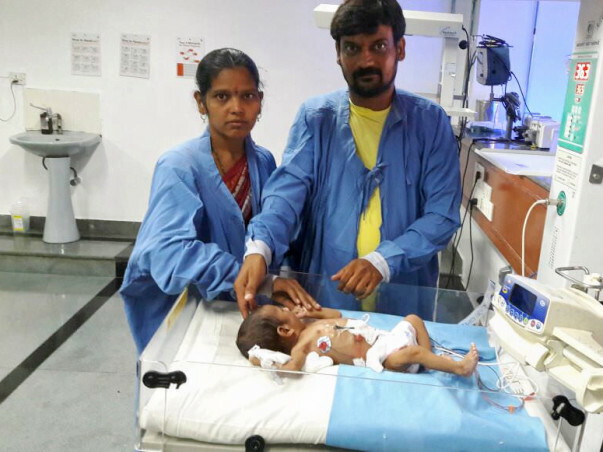 Bhagya's baby boy was diagnosed with a severe stomach ailment called Hirschsprung's disease just a few days after being born. It is a disease in children where the stomach swells up severely and causes infections. Bhagya's baby boy developed stomach blotting few days after birth and later had also developed problem in passing motion hence was taken to the hospital for surgery. A few days after the surgery he developed severe infections and requires to be in the ICU for the next 15 days for treatment and management of his condition. 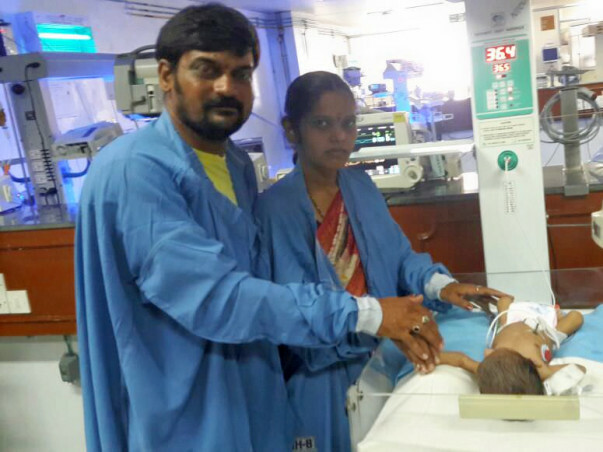 Your contribution can help save Bhagya's baby and give him the treatment he deserves. 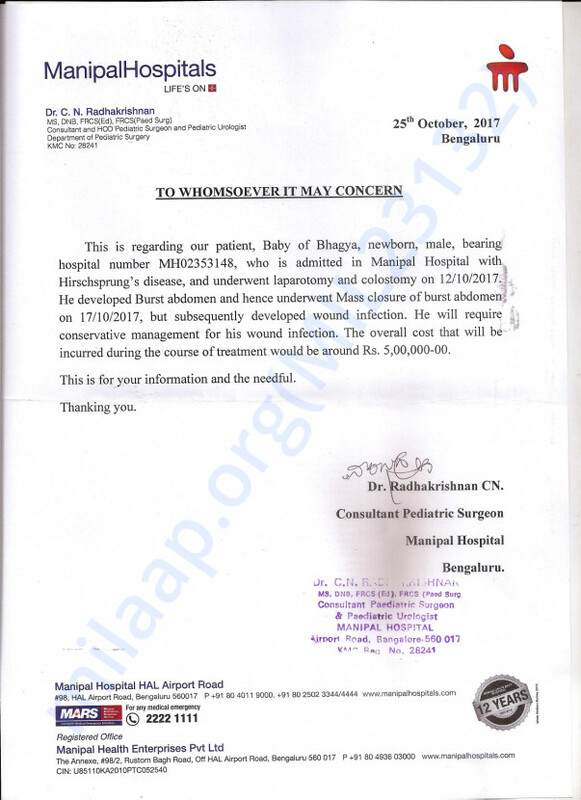 Here is an update on Bhagya's baby. 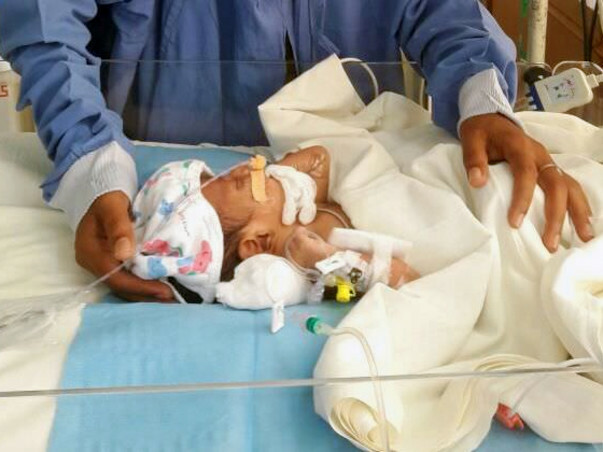 Baby has successfully undergone the surgery in his stomach and has been discharged on 8th November. Currently, he is at home and is doing good. He has to go for the checkups every 15 days. The doctors have advised for one more surgery after three months for complete recovery. We will keep you posted on further progress.